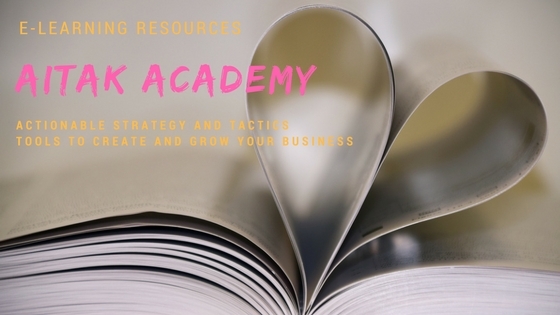 AitaK Academy is a multi-million dollar E-Learning System specifically created to provide all small business owners with the tools, resources, and support they need to accomplish both of these goals. There are two things EVERY business owner wants. First, they want to generate more leads, attract more clients and make more money so they can eliminate any current financial distress they find themselves in. Second, they want to reach $1 million in annual revenue so they can begin to live the life they have always dreamed of having and so richly deserve. First, we help you target your ideal client, understand exactly what they want when they make their decision to buy, and create compelling marketing messages that enable you to out-market and out-sell your competition. We even provide you with “done-for-you” marketing and advertising examples that are proven and tested to get real-world results. Once we help you to establish a successful and lucrative sales process, we then help you document this process and license it worldwide to others in your market. Then put us to the test. Watch our business-altering video titled The 3 Biggest Lead Generation Mistakes Small Businesses Make… And How To Overcome Them All. We’ll reveal the strategies you can immediately deploy that will enable you to out-think, out-market and out-sell your competition. One to one coaching is the solution for many business owners because it speeds up the growth process. The E-Learning System is that one on one coach that is always available and that supports the business owner all the step of the way. Just enter your name and email in the box on this page and we’ll show you the secrets to dominating your competition.